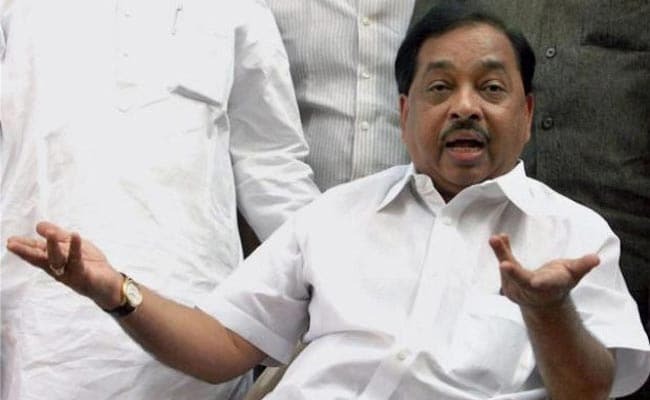 Announcing that he has quit the party, Narayan Rane accused the Congress of reneging on its promise of making him the chief minister after he joined the party 12 years ago. Kudal, Maharashtra: Former Maharashtra Chief Minister Narayan Rane today quit the Congress, amid speculation that he was planning to join the BJP. Announcing that he has quit the party, Mr Rane accused the Congress of reneging on its promise of making him the chief minister after he joined the party 12 years ago. Mr Rane, who was the chief minister in 1999 while being part of the Shiv Sena, said he has also resigned as a Member of the Legislative Council (MLC). "Ahmed Patel had told me after I joined Congress that I would be made the chief minister," Mr Rane said while addressing a press conference in his native Sindhudurg district in coastal Konkan region. "Even Madam (Sonia Gandhi) had told me twice that I would be made the chief minister," he added. The former Shiv Sainik joined the Congress on July 26, 2005, and the next day was made revenue minister in the then Congress-led government in the state. "I have not yet decided where to go," Mr Rane said, referring to the speculation about his joining the BJP. The speculation was triggered with reports that he had met BJP president Amit Shah in Ahmedabad a few months ago. During the recent Ganesh festival, Maharashtra Chief Minister Devendra Fadnavis had also visited Mr Rane's residence. Mr Rane said his son and former Congress MP Nilesh Rane has also resigned from the party.